In 2016 stars, like Angela Lee and Saygid Arslanaliev emerged to take the Asian mixed martial arts (MMA) scene by storm. Who will be the breakout fighters this year? Here, in no particular order, are 10 prospects who are already being tipped for the top. Li Kai Wen has won five fights in the ONE Championship cage and is coming off a very impressive decision win against top Malaysian prospect Keanu Subba. His overall record stands at 6-3 but he’s won five of his last six fights and at the age of 21 he is already regarded as being one of the best featherweights to ever emerge from China. 18 year old flyweight Tenshin Nasukawa is a veteran of over 100 Muay Thai fights and holds a KO win over current Lumpinee champion Wanchalong PKSenchaigym. Late last year he made his MMA debut with Rizin FF and already has two submission wins to his name and a 2-0 record. Danny Kingad is undefeated as both a pro and an amateur. In 2016 Team Lakay’s fighters proved that they were good enough to compete with and win against the best in Asia and by submitting Filipino MMA veteran Eugene Toquero in December the 21 year demonstrated that he’s one of the best prospects in the Philippines. Haobin Ma fought five times in 2016, emerging from the year with an impressive 4-1 record. The 22 year old flyweight isn’t afraid to fight frequently, holds a win over one of Cambodia’s top fighters and has registered victory competing for both ONE Championship and Road FC. Pongsiri Mitsatit holds a perfect professional record of 7-0 and made his name with Full Metal Dojo before signing with ONE Championship. The 20 year old made his promotional debut at the Impact Arena last year and dispatched with Ye Thway Ne to demonstrate why he is already being talked about as the top prospect in all of Asian MMA. CJ de Tomas has been fighting on small regional shows in the Philippines but is already 8-0. The 20 year old holds the URCC flyweight title and will be hoping to follow in the footsteps of fighters like Rey Docyogen, Kevin Belingon, Honorio Banario, Eric Kelly, and Eduard Folayang by breaking out onto the global stage. Ahmed Mujtaba is Pakistan’s hottest MMA prospect and he won four fights out of four in 2016 to take his overall record to 6-0. 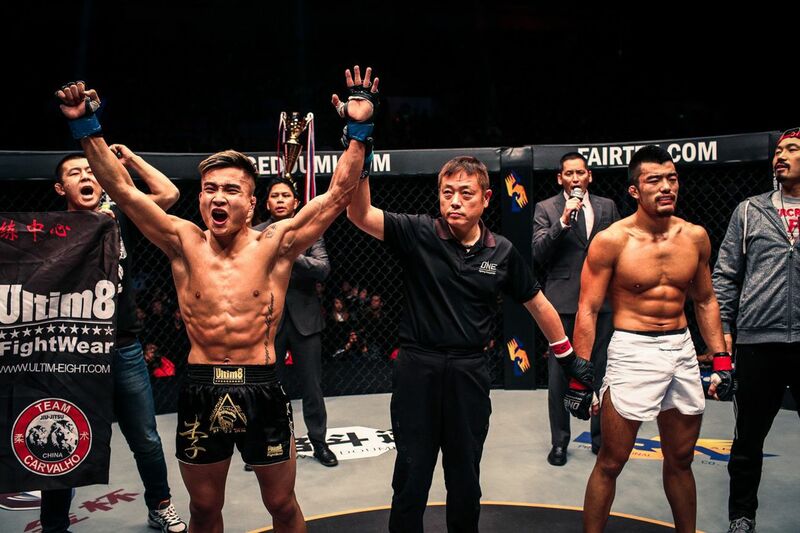 The 23 year old won a belt under the WSOF banner and then beat Singaporean Benedict Ang in his own backyard, claiming a unanimous decision win at the Singapore Indoor Stadium last November. Takumi Tamaru has fought for both Shooto and VTJ and boasts a 7-0 record with six of those wins coming by way of stoppage. 2016 will be a memorable year for the 20 year old because he submitted two vastly experienced Japanese veterans in Yasuhiro Urushitani and Hiroyuki Tanaka. The Chinese featherweight comes from a wrestling background but announced himself to fans in the most spectacular style by knocking out Bruno Pucci in eight seconds on his ONE Championship debut. He holds a pro record of 6-2 and has spent the majority of his career competing in China but the 22 year old also registered a decision win in the US last year. Liu Peng Shuai seized his moment in the spotlight in the most impressive fashion at the ONE: “Dynasty of Champions” preliminary fight night in Hefei. The 20 year old scored not one but two highlight reel KOs to win the strawweight tournament and demonstrate why he is being talked about as one of the most exciting young prospects in Asia. His record currently stands at 3-1.